Install your app on an older phone. To learn more about the different aspects of deploying your app, see the Deploy section. 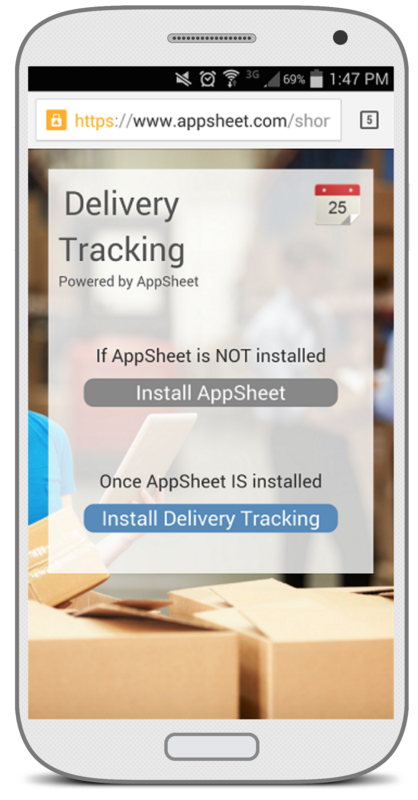 The first step is to install AppSheet from the app store. This is required only the first time the user is installing an AppSheet app. 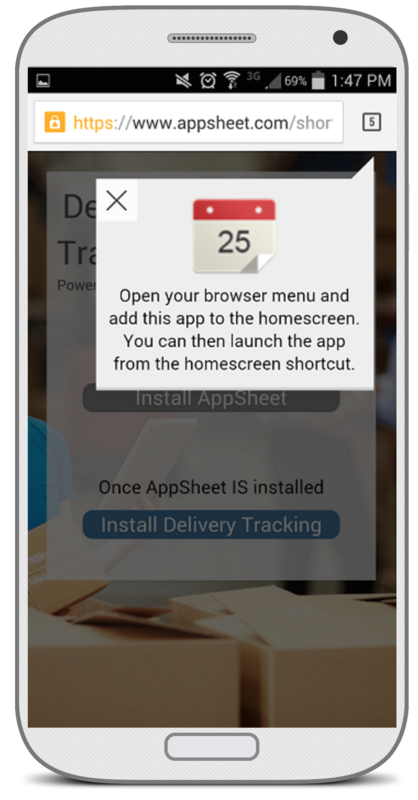 If the AppSheet mobile app is already installed, this step can be skipped. The second step is to create a home screen shortcut so your app appears on the device home screen. On iOS, there is a smooth builtin experience in Mobile Safari to create the homescreen icon. The user simply follows the instructions on the screen. On Android, the native browser differs depending on version and device. We only support Android version 4.2 and above. Many of the older browsers lack the ability to install a home screen shortcut. Consequently, we encourage users to use Chrome on Android devices. Our install links work well with Chrome.